This is a project I have been working on for my mom. She is in the stake young women presidency in her area, but she was only recently released as the young women president in her ward. While she was president, one of the advisers started making these packets for the new beehives coming in. 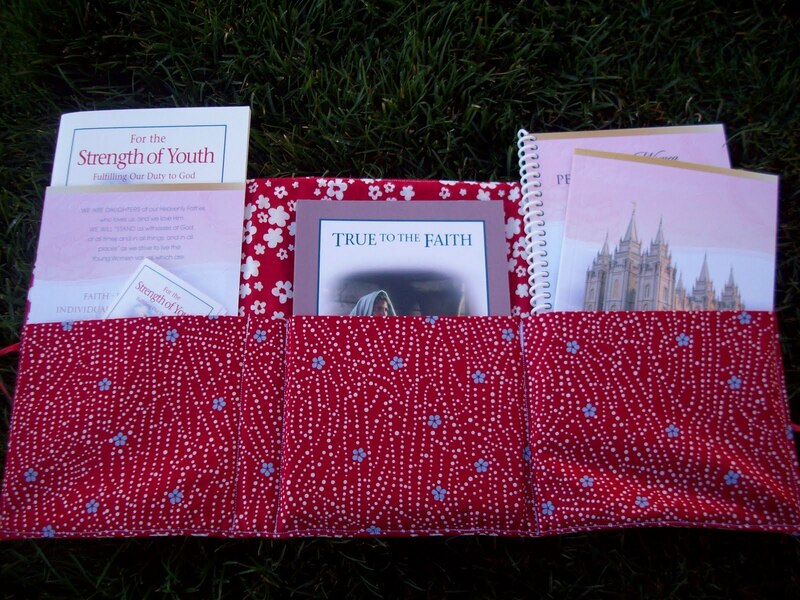 It holds all their personal progress books as well as True to the Faith and For the Strength of Youth. She wanted me to make some for her to give the other women in her new presidency. And of course she wanted them embellished and cute. I think these will fit the bill nicely! I am hoping to have a tutorial for these up in the next week or so for those who might want to make them for their own groups. I will also be selling them at an upcoming boutique and hopefully in my *new* Etsy shop (which currently has nothing in it ;). I would love to see a tutorial on this! My girls could use something like this! I am definitely doing a tutorial on these. I will be making some next week and will take pics and measurements- so stay tuned! Did you ever do a tutorial for the Personal Progress Packets? 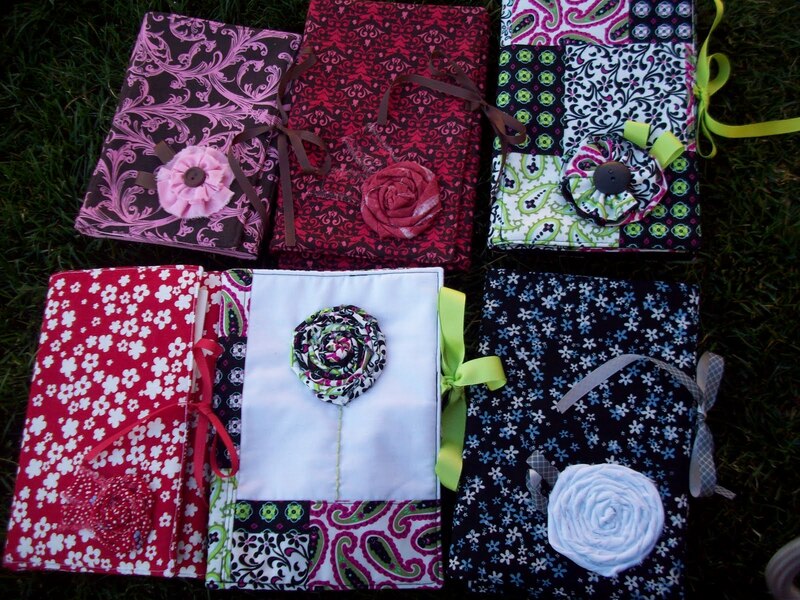 We would like to make them for our Young Women. I am in love with these. Can't wait for the tutorial. I am a big fan.